Every Tuesday at 6:45 am, a small group meets together at United Baptist Church to encounter God through the Bible using an ancient practice called Lectio Divina or "divine reading." For people who are seeking to know not just the Bible, but rather to actual meet and know Jesus -- the Living Word, who is the source of the Written Word -- Lectio Divina is a helpful spiritual practice. Wikipedia offers a very nice explanation in the introduction to its article on Lectio Divina. "In Christianity, Lectio Divina (Latin for divine reading) is a traditional Benedictine practice of scriptural reading, meditation and prayer intended to promote communion with God and to increase the knowledge of God's Word. It does not treat Scripture as texts to be studied, but as the Living Word. Traditionally Lectio Divina has 4 separate steps: read, meditate, pray and contemplate. First a passage of Scripture is read, then its meaning is reflected upon. This is followed by prayer and contemplation on the Word of God. The focus of Lectio Divina is not a theological analysis of biblical passages but viewing them with Christ as the key to their meaning. For example, given Jesus' statement in John 14:27: "Peace I leave with you; my peace I give unto you" an analytical approach would focus on the reason for the statement during the Last Supper, the biblical context, etc. But in Lectio Divina rather than "dissecting peace", the practitioner "enters peace" and shares in the peace of Christ. In Christian teachings, this form of meditative prayer leads to an increased knowledge of Christ. The roots of Scriptural reflection and interpretation go back to Origen in the 3rd century, after whom St. Ambrose taught them to St. Augustine. 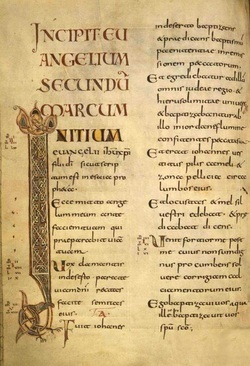 The monastic practice of Lectio Divina was first established in the 6th century by Saint Benedict and was then formalized as a 4 step process by the Carthusian monk, Guigo II, in the 12th century. In the 20th century, the constitution Dei Verbum of Pope Paul VI recommended Lectio Divina for the general public. Pope Benedict XVI emphasized the importance of Lectio Divina in the 21st century."